Fire Globe is part of NIFC's GIS, Fire Enterprise Geospatial Portal (Fire EGP), which also operates on the Esri platform. Redlands, California—The National Interagency Fire Center (NIFC) has transferred its web GIS application, Fire Globe, to the Esri platform. 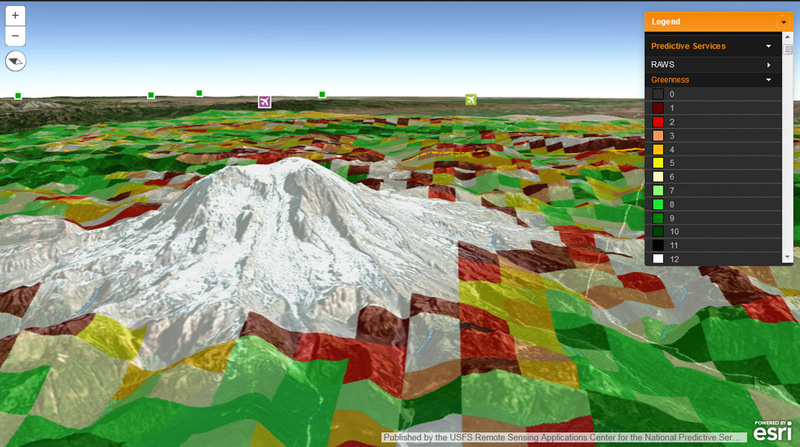 Responding to Google's announcement about its deprecation of Google Earth Enterprise in January 2015, Esri partner Next Tier Concepts (NT Concepts) worked with NIFC to facilitate the move. Esri, the world leader in GIS, is helping Google customers easily make similar transitions. "Migrating our Fire Globe app to the Esri platform was fast and didn't interrupt NIFC's situational services to Fire Globe users," said Sean Triplett, NIFC geospatial analysis group leader. "The Esri platform accepts industry standards, has great functionality and scalability, and presents fire data in a 2D and 3D virtual environment." Fire Globe is part of NIFC's GIS, Fire Enterprise Geospatial Portal (Fire EGP), which also operates on the Esri platform. Each day, during the peak of fire season, potentially thousands of users from various agencies involved in wildland fire response open the Fire Globe app to look at the situational wildland fire picture. The app accesses data layers in the large intelligence portal via a web browser. "We actually delivered what we feel is a superior interface platform and product, with newer and better features, basemapping, and greater performance," said Rod Erickson, NT Concepts geospatial programs director. Responders use Fire Globe to see incident-relevant data so that they know what they are up against from all directions. The app accesses a variety of data layers such as active incidents, Moderate-Resolution Imaging Spectroradiometer (MODIS), and Visible Infrared Imager Radiometer Suite (VIIRS) satellite fire imagery. Fire Globe also accesses historical fire data and predictive fire weather information. Seeing data layers about aspect, wind direction, and soil types on a 3D map gives command centers the information they need to effectively direct firefighting operations.